Bungie shared lots of new information on the Curse of Osiris DLC, the first one due to hit Destiny 2, in an official livestream showcase which we’ve embedded below, in case you’re interested in watching it all. Otherwise, here’s an official recap provided by Activision to the press. The DLC is part of the Season Pass and will be available on all platforms on December 5th. We’ll find out more about who Osiris is and his backstory. The Vex also have a master plan…but what is it? The story is set a few months post the Red War. The reawakening of the Traveler has had repercussions – a wave of light that spread across the solar system and beyond. This has activated a gateway the Vex are using to assemble on Mercury from the past, present, and future. Ikora needs a hero to investigate, so turns to her most trusted Guardian – the player character who brought her back from Io. OSIRIS: With Curse of Osiris, Bungie wanted to put the character of Osiris front and center, as “The greatest Warlock that ever lived”. You will discover who he is, what he’s doing on Mercury, and what he took with him when he was exiled. SAGIRA: Sagira, voiced by Morena Baccarin, is our first female ghost. She has an outspoken personality and thinks that the Guardians take themselves too seriously. IKORA: Ikora makes a return to the story. She is starting to explore what she needs to be to become a stronger leader, as well as who she is as a human. 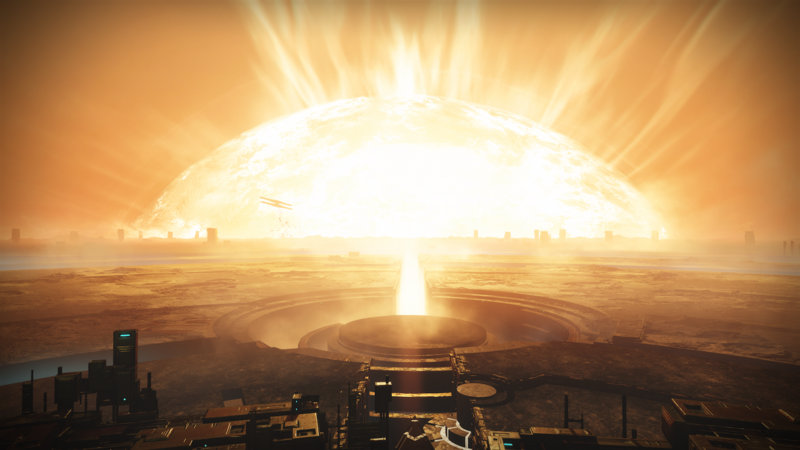 BROTHER VANCE: Brother Vance has returned to the lighthouse to guide the player, joined by other disciples who are eager to herald the return of Osiris. o The Infinite Forest offers players an infinite combination of fun experiences. Each time you play through the mission, you’ll engage unpredictable combinations of aliens across an ever-shifting landscape. It’s a network of machines located within the core of Mercury. There are pillars known as trees, which allow players to venture to different times, including the past, present and future. The Vex are using this simulation to investigate all potential realities and choose the one that best suits their plans to eliminate all life from the universe. o Lighthouse: The stream also took a visit to the Lighthouse. Everybody will get a chance to go to the lighthouse, which acts as a hub for the player experience on Mercury. o Light level: During the expansion, the player level will be raised to 25. Light level will be raised to 330 (or 335 with all mods).